It’s no surprise that the distractions of daily life in the digital age drive many an ADDer to seek a ‘no-interruption zone’. What is surprising is that it need not be a quiet place. In fact, for people with ADD, quiet can be unconducive to concentration. We’ll discuss how to carve out best no-interruption zones and when to head there. This podcast episode originally aired on 3/7/2019. 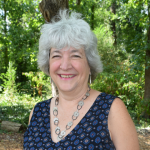 Judith Kolberg is a speaker, author and Professional Organizer who is credited with launching an entire field of professional organizing specifically dedicated to addressing the needs of individuals who are chronically disorganized. Her innovative methods have made organizing breakthroughs for adults with ADD, left-brain thinkers, and even compulsive hoarders, and her book ADD-Friendly Ways to Organize Your Life is a well-known industry resource. Her organizing business is based in Atlanta where she sees clients, takes care of her Mom, writes, and speaks on a range of organization/ disorganization topics. You can learn more about Judith at www.fileheads.net. Podcast Co-Host Lynne Edris helps distracted professionals overcome overwhelm by reducing procrastination and improving time management so they have more time, more energy, and more money for what they love most! As a woman with ADHD herself, she has been where her clients are and come out the other side, so to speak. She’s gone from living in a constant state of chaos and under-performance to a life full of success and fulfillment! 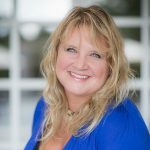 Learn more about Lynne at www.CoachingADDvantages.com, and text keyword “HACK” to 444999 to get her 7 Fool-Proof Productivity Hacks for unfocused professionals!